As I discussed a few weeks ago in a New York Times op-ed the Chinese are flexing their muscles on the question of the global reserve currency system dominated by the dollar. With the revision of the SDR basket (so far including only dollar, euro, yen and pound) coming to the table next year it is clear that the Chinese will push for including the renminbi in the new SDR basket. And senior Brazilian policy sources suggest in private that, if the RMB is included in the SDR, so should the Brazilian Real as there is already a much deeper bond market for Real debt and as – unlike China – Brazil has a more liberalized capital account. And the Russians are now openly pushing for commodity currencies – the Canadian and Australian dollar but also the Ruble – to be included in the SDR basket. And the BRICs are on record pushing for the IMF to issue SDR denominated debt. 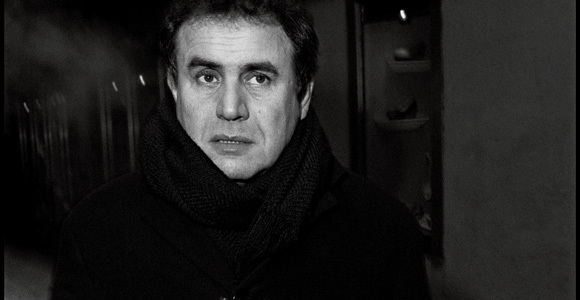 Nouriel Roubini, the New York University economist who accurately forecast the bursting of the housing bubble and the resulting economic contraction, has become famous for his pessimism—he has been the gloomiest of the doomsayers. Which is what makes his current outlook surprising: Roubini believes that the Obama administration’s policy makers—and especially the much-maligned Tim Geithner—have gotten a lot right. Pitfalls may still abound, but he is now projecting an end to the recession, and he sees growth ahead. On March 28, 2007, Federal Reserve Chairman Ben Bernanke appeared before the congressional Joint Economic Committee to discuss trends in the U.S. economy. Everyone was concerned about the “substantial correction in the housing market,” he noted in his prepared remarks. Fortunately, “the impact on the broader economy and financial markets of the problems in the subprime market seems likely to be contained.” Better still, “the weakness in housing and in some parts of manufacturing does not appear to have spilled over to any significant extent to other sectors of the economy.” On that day, the Dow Jones industrial average was above 12,000, the S&P 500 was above 1,400, and the U.S. unemployment rate was 4.4 percent. That assurance looks bad in retrospect, as do many of Bernanke’s claims through the rest of the year: that the real-estate crisis was working itself out and that its problems would likely remain “niche” issues. If experts can be this wrong—within two years, unemployment had nearly doubled, and financial markets had lost roughly half their value—what good is their expertise? And of course it wasn’t just Bernanke, though presumably he had the most authoritative data to draw on. Through the markets’ rise to their peak late in 2007 and for many months into their precipitous fall, the dominant voices from the government, financial journalism, and the business and financial establishment under- rather than overplayed the scope of the current disaster. (Bloomberg) — Nouriel Roubini, professor at New York University’s Stern School of Business, talks with Bloomberg’s Deirdre Bolton and Tom Keene about the state of the U.S. economy. (CNBC) — The price of oil, which is rising too fast, and long-term interest rates that are beginning to creep up are likely to suppress a budding recovery, Nouriel Roubini, president of RGE Monitor, told CNBC Monday. In the past three months, global asset prices have rebounded sharply: Stock prices have increased by more than 30 percent in advanced economies and by much more in most emerging markets. Prices of commodities — oil, energy, and minerals — have soared; corporate credit spreads (the difference between the yield of corporate and government bonds) have narrowed dramatically, as government-bond yields have increased sharply; volatility (the “fear gauge”) has fallen; and the dollar has weakened as demand for safe dollar assets has abated. But is the recovery of asset prices driven by economic fundamentals? Is it sustainable? Is the recovery in stock prices another bear-market rally or the beginning of a bullish trend? (CNNMoney.com) — Economist Nouriel Roubini talks about surging oil prices, slow economic growth and what is needed right now. After a recent failed public debt auction, the authorities in Latvia are desperately trying to prevent a depreciation of the currency, the lat. The country’s predicament is similar to the one that faced Argentina in 2000-01: a severe recession driven by global financial shocks, a sudden drying up of capital inflows and the need to reduce a large external deficit worsened by an unsustainable currency peg. As in Argentina, the International Monetary Fund initially went along – somewhat uncomfortably – with the authorities’ strong preference for not letting the currency depreciate, in spite of its significant overvaluation. But a real exchange rate depreciation is necessary to restore the country’s competitiveness; in its absence, a painful adjustment of relative prices can occur only via deflation and a fall in nominal wages that will take too long and exacerbate the recession. I spent the last weekend in St Petersburg Russia attending the St Petersburg International Economic Forum, a Russian “Davos” that is organized by the Presidency of the Russian Federation (Mr. Medvedev). I was there a speaker in three separate panels, one a plenary panel on the Post-Crisis Financial Architecture, the second on a Retrospective of World Financial Crises and the third on the New Economic Model and the Long Term Impact of the Crisis. New York – Recent data suggest that the rate of contraction in the world economy may be slowing. But hopes that “green shoots” of recovery may be springing up have been dashed by plenty of yellow weeds. Recent data on employment, retail sales, industrial production, and housing in the United States remain very weak; Europe’s first quarter GDP growth data is dismal; Japan’s economy is still comatose; and even China – which is recovering – has very weak exports. Thus, the consensus view that the global economy will soon bottom out has proven – once again – to be overly optimistic. After the collapse of Lehman Brothers in September 2008, the global financial system nearly melted down and the world economy went into free fall. Indeed, the rate of economic contraction in the fourth quarter of 2008 and the first quarter of 2009 reached near-depression levels.